This is not the team Reds fans deserve. But given the necessity to rebuild it’s the one we need right now. Sorta. Solid Start for Moscot Jon Moscot worked five innings, throwing 88 pitches. In a sense, he deserved better because two of the runs were unearned and three Reds errors added to his pitch count. On the other hand, he gave up four walks and four hits and struck out only two Mets. Flay It Again, Sam The Reds bullpen once again threw gasoline on the flames. Blake Wood gave up two walks and Drew Hayes gave up a 2-run gap shot double in the sixth. Hayes and Ross Ohlendorf did pitch two scoreless inning in the seventh and eighth. Lead-Off Homer Zack Cozart greeted Matt Harvey with a home run to deep left field. It was Cozart’s second of the year. He’s hitting .397/.388/.603 with a wRC+ of 153. That’s MVP caliber run production, by the way. It was the fifth time Cozart has led off a game with a home run in his career. That puts him only 76 behind Rickey Henderson in that category. Devin Robbed With bases loaded and two out in the top of the third, Devin Mesoraco hit a line drive just about over the second base bag. It looked like a sure-fire 2-run single. Then Neil Walker, the Mets second baseman who was already shifted up the middle, dove and caught the ball in mid-flight. Time to Ship ScheblerÃ‚Â Scott Schebler committed an error in the first inning on a routine play, costing the Reds two unearned runs. Given his struggles at the plate (.140/.210/.300) and in the field, once Jay Bruce returns it might be time for the Reds to send Schebler back to AAA for a while. The Reds shouldn’t give up on him, but it looks like he could use a chance to regain his bearings. Of all the position players on the Reds roster, he looks farthest from major league ready. His strike out rate is over 30%. Ticket Give-Away for Giants Series Our friends at TiqIQ are giving away (as in free) five sets of 4-pack tickets for Monday’s game at Great American Ball Park against the San Francisco Giants. Enter to win by clicking here. TiqIQ is a national ticket consolidator and has tickets available for every Reds game, home and away. They search the web to find the best deals on seats and organize what’s available to make it easy for you to shop for exactly what you want. Best of all, their service doesn’t increase the cost to you as TiqIQ gets their cut from the seller. And because we partner with them, we get a share of that when you use the link at this site as a starting point. Final Words on Last NightÃ‚Â One more swing at Price’s decision to keep Brandon Finnegan in the game. Price is rightly trying to win every game with the players he has been provided by the front office. He thought leaving Finnegan in was their best chance to win. Who could question that given the Reds bullpen? Price also said that Finnegan’s head-to-head matchup (4 plate appearances) with Cespedes was a big factor. That’s terrifying. The reason I’m glad he kept Finnegan in seemed to play no role in Price’s decision. Finnegan needs high-leverage experience, including the scars. The outcome will make him tougher and more prepared going forward. The least concern is coddling professional athletes or getting pitchers wins. DeSclafani in Dayton Tomorrow the Reds are off but Anthony DeSclafani is scheduled to pitch a rehab game in Dayton. It may be his final start before rejoining the Reds rotation. As long as the weather isn’t too foreboding, I’m planning on making the short trip north to cover the game. It’s the same distance to Fifth Third Field as it is to GABP for me, plus the Dragons treat our writers as press, which is nice. Watch for my report afterward. Return of the JediÃ‚Â Homer Bailey could make his first start next Saturday, May 7 against the Milwaukee Brewers. That would be a day short of the one-year anniversary of the right-hander’s Tommy John surgery. It’s also Star Wars weekend at GABP. Bailey started last night in Pensacola for the AA Blue Wahoos throwing 78 pitches. With one more rehab start planned, Bailey would be on schedule to start for the Reds on Friday, May 6. But the Reds are talking about adding a day between starts because of how the travel affects Bailey’s preparation routine. Bailey- Lamb-Disco-Iglesias-Finnegan for May. Sounds like a nice rotation. Yeah, sounds good, but who goes (to the bullpen or AAA) when Stephenson is ready shortly after? Finnegan or Lamb? Also I hope that wasn’t in any particular order, because if it was I would like to point out that Iglesias is better than both Disco and Lamb (and Iglesias in my mind is a co-ace with Bailey at worst right now), and Disco also would slot above Lamb IMHO. I’m not sure the order matters much, but Iglesias and Finnegan are likely to reach an innings limit and not make it through the season anyway, so maybe Stephenson gets one of those spots. The other three could make it all the way through the season, health permitting. Price (post game): We need to get guys off the DL so we have the option of sending pitchers to the minors when we need to. The walks are insufferable. I’m going to preach louder than I have in the past. Right now, we can’t make changes that we need to. I like that Price is getting an edge with the players instead of the media. But in fairness maybe he has been edgy with the players in private all along. And if Lamb’s performance tonite is an indicator Price’s discomfort was felt. And I was all set to stand up (a little bit) for Price about not taking Finnegan out the other night, until I saw what Steve wrote about the pitcher vs. batter numbers. On the pregame show Wednesday, I heard Price say he just didn’t want any of his right-handers facing Duda, so I thought that was something of a defensible position. Word is that when Moscot was pulled after 5 having thrown 88 pitches that he was seen talking with the trainers and perhaps indicating some issue with his surgically repaired left (non throwing shoulder). Oh well, looks like Lamb may be ready to be next man up. They just interviewed Moscot in the clubhouse. Felt a twinge in the shoulder (non-throwing) where he had surgery last year. Said it didn’t bother him early in the game. Felt it at the start of the fifth inning but it didn’t get worse as the inning went on. Told Price he could pitch the sixth. Trainer and Price decided not to risk it. Will wait a couple days to see how it feels. Somsen has been optioned back to make way for Bruce. Reds just sent Somsen down and reactivated Bruce. Kind of stinks for Somsen whose parents flew into NY from South Dakota to see him pitch and then he didn’t get into a game. Three days of sitting in the bullpen did net him about $8000 in major league salary though, so that’s something. I’m thinking Somsen must not throw hard or something? I don’t understand why he hasn’t been given a shot because his minor league #s are pretty strong other than he walks too many guys. The batt avg against him is like .217 I think? Oh well….hopefully he’ll get a shot at some point? When Yorman is back I would be shocked if Schebler isn’t the one sent down, but I suppose I could see a good case for Pacheco being that odd man out. I kinda forgot about Yorman. With Bruce still here, Billy in center and Duvall having taken over the left field job, where is Yorman gonna play? The Reds won’t be able to send him down without risking losing him, so he’s gonna sit the bench? … Again, the season is supposed to be learning who can play and who can’t. The only issue I have is if they send Schebler down they don’t have a LH hitter on the bench. Of course in theory, with Pacheco they can pinch hit Barnhart. They just haven’t really done it. Link to longer article on Lamb’s performance. In 1984, the Reds were managed by someone named Verne Rapp…..they lost 90+ games for the third straight year….a past his prime Dave Parker was their best player….Foster and Griffey were traded 2 years before because the Reds were unwilling/unable to compete in free agency….things were so bad that the Williams Brothers basically gave the team away since they were losing so much money…things were rather bleak. However, we didn’t realize that the minor league system was filled with quality players and over the course of the next 11 years they were good to very good 8 times. Even the 3 bad years were well constructed teams who suffered an absurd amount of injuries. In 1995,they were one of the best teams in baseball for the second year in a row. The previous decade was pretty good…even had a World Championship. Despite the market size, they had a payroll that was amongst the highest in the game. The farm system had produced a solid core and they had a young, aggressive GM who seemed able to arbitrage the team into a consistent contender…..things were rather good. However, we didn’t realize that to fund that payroll, everything else was cut to the bone. Scouting and development budgets were gutted and that young aggressive GM ultimately “reverted to the mean.” Also, the economics of the game seemed to change overnight. Cable revenue,based largely on market size, began to supersede ticket revenue for some teams. The next 20 seasons would produce 14 losing years. Hopefully, we’re a lot closer to 1984 than 1995. In many ways I’m pretty sure the world is a lot closer to 1984 than 1995; so, why not the Reds too. 1884 (the first World Series): the New York Mets defeated by Providence. 2015: Cincinnati Reds defeated by providence. Anyone else getting frustrated with the offense? Or more precisely the lack thereof? As bad as the pitching has been, and it has been bad- worst in baseball bad, at least there’s hope there. They have a couple proven major leaguers coming back and one of the most impressive stable of young arms in the minor leagues. But the offense. Fourth worst in all of baseball by wRC coming into this game. And besides Winker there’s not a whole lot of help in the minors. Votto will get better and that will help. I’m not sure what to think of Meso anymore. It’s just kind of depressing. I just keep telling myself that three weeks does not a season make, especially regarding Mesoraco. Not sure how his numbers translate in the ‘luck’ factor, but when the infielder made that diving catch of his line drive up the middle Wednesday, I could only imagination the frustration he must have been feeling. I can’t understand Votto looking so defensive and, well, lost at the plate sometimes. … My expectations for Hamilton were pretty low, and who knew what to expect from Duvall and Schebler? So given the lack of production from Mes and Votto, I guess I’m not so surprised at how bad it is. The scary thing is that Brandon is powerless but better than I expected, and Cozart is out of his head, but they’re the only ones. What happens when THEY come back to earth? But the bottom line, to me, is that a lot of these pitchers have to prove to be really good, because a few of them will need to be traded to get a bat or two, and it’s gonna take quality to get quality. Somewhere along the line somebody noted (here? Twitter?) that after B.Phillips was injured on Monday that the Reds line up versus the Metz looked a lot like it would have looked had the Phillips and Bruce trades had gone through (sans any immediate MLB level return). The biggest stories have to be what both Votto and Meso are NOT doing. The rust on Meso probably should have been anticipated after he essentially missed all year; but, what goes with JV? I remain encouraged about Duvall. He had something of a rough series versus the Metz; but, those two young starters the Reds faced are going to K a lot of folks a lot of times. While his rookie status is blown, he had less than 100 days of MLB service coming into this season. The next several weeks will show us if the league is catching up to Duvall or whether his struggles in NYC were largely a product of the pitching he was seeing. The pitching has to get better with the return of Bailey, Lamb, and Disco. But the hitting will not change. We have Meso, Hamilton, Schebler, Votto, and the pitchers spot all batting .200 or below. Very hard to win with those numbers, regardless of our pitching. I believe that the hitting will change, hopefully for the better. Cozart is probably going to come back down to earth at some point, but Mesoraco is not likely to be this bad for the whole season, Votto is definitely not going to be this bad and Schebler should start to lose more time to Duvall and Holt who are hitting pretty well. Also Hamilton is hitting more line drives and ground balls and fewer fly balls then previous seasons as well as lowering his soft-hit percentage but has a lower batting average on balls in play. He may or may not ever be even a league average hitter, but the underlying numbers seem to say he should be having better success so far this season than he is. By eye test only, he seems to be a bit more selective at the plate than he has been. And his defense is other-wordly. Small sample size, and all that, but his walk percentage so far this season is also the highest in his career. If he can keep up these apparent improvements and become even average at the plate, his defense and base-running will make him a very valuable player. OMITTED POSITIVE: Since we are losing so many of these road games, that’s 1 less inning we have to see the bullpen pitch. It is depressing and it’s hard to watch, but we all knew that it would look something like this. I’d rather see the rebuild in its early stages than one more ill-considered attempt to win. Maybe I’ll live long enough to see another good (or even great) Reds team. “4 plate appearances” and the outcomes were a “big factor” in keeping Finnegan in the game Tuesday night? Rather you agree with Price’s decision or not, stating that as a “big factor” in his reasoning just proves the lunacy of the entire organization. “Reds fans deserve better” … Only we aren’t going to get better because the organization still doesn’t seem to be targeting the players who can hit AND draw walks (showing plate discipline) or the pitchers who can seem to maintain a league average or below walk rate from the mound. Not only do they not seem to target those players, they don’t seem to stress the importance of those things in the minors. It’s pretty fundamental. I don’t get it. LW, I think it is a little early in the process to give up on management. There is plenty of room for disappointment in the return the Reds received for Frazier and Chapman. And certainly the signing of Simon after he fell off the cliff last year doesn’t look good. Although, I am not sure who else might have been available. If you look at where they were 1-1/2 years ago – preparing to lose 4/5 of the starting rotation with no near ready hitters to promote, the team has made some strides forward. They have built organizational depth with players like Duvall, Schebler, Holt, Dejesus, Peraza, etc. Last year, there just was nobody available to call up from the minors to fill in for injury or as a bench player. They have done much better in building up the pitching with the additions of Disco, Lamb, Finnegan, Reed and Davis to augment the younger prospects in the system (Travieso, Garrett, Stephenson). Plus new pitchers they already had in the majors (Iglesias, Moscot). I always felt pitching was more of Walt’s strength than finding good hitters. 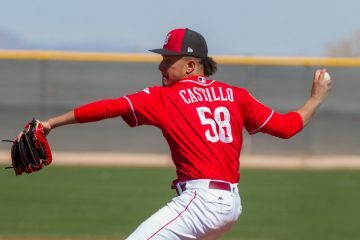 It remains to be seen if the Reds have their shutdown ace of the future, but it does look like they can build a solid pitching staff from what they already have, It will take 2-3 years to sort it all out. The organization has added to the statistical analysis side recently. I have to believe they won’t be ignoring these basic concepts in evaluating hitting prospects going forward. In comparing the Reds rebuild to the Cubs model, the Reds acquired pitching with some minor league track record which has more certainty than drafting pitchers. Now they have to follow up on the offensive side of the ball with players that display the traits you mention. The coming draft, international signings and any further trades will tell if they get it or not. If not, I will be joining you in surrender. You’re spot on with the lunacy. For someone who seems to understand certain aspects of the game well, Price misses the boat big time on some other ones. Batter vs Pitcher history is one that Price consistently shows his ignorance. Nick Howard, who makes Rick Ankiel look like Greg Maddux, actually threw an inning last night at Daytona without a walk, fanning 2 guys. In his 2 prior appearances, Howard had totaled 25 balls and 10 strikes. Howard was the first-round pick out of the University of Virginia in 2014, taken 2 picks after the Royals took Brandon Finnegan. That may have been a very weak draft year. It is a little discouraging that Jesse Winker appears to be the only hitting prospect on the horizon. I hope that means that they will draft the best college hitter, given that they have completely given up on trying to develop hitters from the Dominican or from Venezuela. Duran and Rodriguez almost seemed like their last strong attempts. Not sure they’ve given up on it but they haven’t seemed to sign anyone through their camps that have serious upside since those two. It does seem they have focused more on international pitchers lately. And I’m not sure about all the signings, but Daal, Aquino, Reynoso, Olivo, and Turnbull are a few of the international guys the Reds signed that are in our system (well Olivo hasn’t quite arrived after being signed last year, but he was somewhat high profile). Daal has progressed the furthest, but Reynoso and Aquino are toolshed type of players that haven’t really put it together yet. Reynoso has shown signs of life here and there but needs to show more power. Both are Adv.-A. Turnbull looks like the real deal so far, and put up nice numbers in Rk league for a 17 year old. None of those guys have put it together completely, and Daal may not have much upside as a contact oriented SS, but there is some upside if those guys figure it out. Nice information there. Thanks! I’ll add that anything a 17 year old does as a pro is pretty impressive. Turnbull is the Catcher from Australia, isn’t he? Like Lorenzen, Howard was a two way player (pitcher and infielder) in D1 college (Virginia). As a frosh, he was a reliever. As a soph, he started 12 games and averaged right at 5 innings a start. In his Jr (final) year at Virginia, he was closer, making no starts. Howard’s pitching creds coming into the MLB draft were certainly more established than Lorenzen’s; but still, trying to make him a starter, which the Reds did, basically represents spending a 1st round choice on a project just like with Lorenzen. Omitted including this link to Howard’s college stats…. I wonder how often other teams do it? How many other teams get themselves into situations in which 4/5ths of starting rotation has the same walk away year (and also Bailey was not yet extended when Lorenzen was drafted)? That situation clearly drove selecting top college closers in consecutive years with a first round choice then immediately undertaking to make them into starters. Obv he’ll cool off and become mortal but how do the Cards do it? How do they annually get mostly unheralded prospects to come up to the majors and hit like crazy? They’ll ride them for 3-4 years and once the league finds all their weaknesses like Freese or Allen Craig then off they go and here comes 3 more? Unbelievable? Good scouts. Reds have a very inferior scouting system. Not the best minor league coaches, too. It’s that simple and that sad. The local Reds beat writers never talk about it, either. They bury their heads in the sand. Either they’re not very smart or they’re afraid to get on Castellini’s bad side. They say BC can be a real SOB if you get him mad. Jocketty sets the tone and has the final say on how the scouting system is set up. Blame Jocketty for the utter lack of depth in the minors. It’s his responsibility. Offensively, this team is not good. It looks as if they will not bring up Peraza while they let BP mend. I would like to reiterate something about this situation. After last season, BP was asked how come he had such a rebound season in 2015 over 2013 and 2014. Especially in the SB department. He replied emphatically, “I got my legs back. I got my legs back.” In 2013 and 2014, BP was injured early each season and had nagging injuries all season long, mostly to his legs. He had foot and hammy issues. Now this year he has an early injury to one of his legs. The Reds should not have risked BP having a repeat of his 2013 and 2014 season and just put him on the DL for 15 days and let him mend properly. BP would have argued against such a move, but it would have been in his best interests too. I’d rather see the 2015 BP with legs out there rather than the hobbily 2014 BP. Granted BP did drive in 103 runs in 2013, but he was hobbled on the basepaths most of that season. The Reds should have brought up Peraza, told him it was just going to be a 2 week stay and go out and just play your game. They then could have put BP on the DL. BP could have then rested his sore leg and hand, and come back ready to go. Instead of coming back in a few days and hobble his way through the rest of this season. In 2013, BP was off to an outstanding start when he was hit in the wrist by the Pirates. He wasn’t the same the rest of the year. The next year he injured his thumb diving for a ball in the field, again…came back not the same. These were never old-man injuries like back, knees, or hammys. This injury was from 2 foul balls off the legs followed by being HBP in the hand. I don’t know the severity of them, but I’m fine with them DLing him for 15 to fully heel. While I agree about sending Schebler down once Bruce comes back, it’s funny that Schebler has better walk AND strikeout rates than Duvall. Schebler just isn’t striking the ball very well, which is odd given that he’s still got the 3rd highest Hard% on the team (behind Duvall and Votto). I made a post on this below, Patrick, but since you are the resident numbers guy I wanted to get your thoughts on it. According to Fangraphs, the Reds have the highest line drive rate in baseball and the lowest soft % in baseball. Blew my mind! If you are hitting the most line drives and making the least amount of soft contact you would think that you would have a decent offense, no? The first thought would be that they are making good contact when they hit the ball, but are swinging and missing a lot. But no, they are 5th in contact rate! They are not just hacking away, either. Post got cut off. Anyway, they are middle of the pack in O-swing% 15th. The interesting thing about their plate discipline numbers are that they are 2nd in zone % and 1st in first strike %. So you have a team where pitches are pounding the zone against you, you’re the 5th best team at making contact, the best team at hitting line drives, the best team at avoiding soft contact. How is this offense so bad? This is just a really bad team. 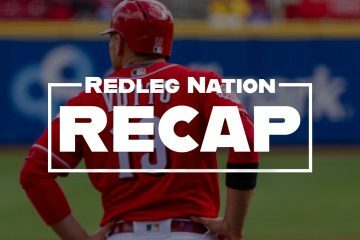 The biggest question for me is: How do we as fans know that the Reds FO knows what they are doing in this rebuild and how do we know it’s getting done the right way? We knew this team would be bad this year, but this has the potential to be really bad for a really long time (beyond 2020). We really have no clue if the talent and type of players our FO clamors for is at the very least on par with the talent that other teams (Cubs, Cards, Pirates, etc.) aim to acquire and promote. As of right now, I’m not seeing it…we are behind in every facet leaps and bounds. I think pitching gets the Reds back to being a middle of the road team NLT 2019 and likely before unless they have really bad luck with injuries or make some poor choices when trying to trade pitching for position players with offensive upside. However getting any further up the food chain is going to require a massive influx of offensive talent which seems to be as scarce in the Reds system as pitching talent is abundant. Drafting tools and raw skills seems to have worked for them on the pitching side; but, not on the offensive side. I totally agree…Winker is the closest thing we have to a “can’t miss” type guy at the plate…but so was Brandon Larson. Brandon Larson was a minor league monster, how he had no success in the show still boggles my mind. The Reds have the lowest soft hit ball percentage in the league. Surprised the heck out of me, but apparently the Reds make the least amount of weak contact in the league! And they are 9th in hard hit % And they are 1st in baseball in line drive rate. So how the heck are they 22nd in BABIP?. Are we really getting horrible luck again? Or is their something predictable about the way the Reds hit the ball that makes defensive positioning easier against them? I can’t believe I’m saying this but they need to keep Jay Bruce for starters! You got Suarez for nothing basically so that’s the goal with this year. Teams like Boston, Toronto, and the White Sox might overpay for someone like Bailey, Disco, or even Cozart? If Homer went to Boston today…he’d prob be their next best starter after Price. Its almost do or die with trades if they want to do something during whats left of Votto’s prime years? Winker looks pretty good but he can’t be a difference maker by himself. I picked up an intriguing guy (1B/2B) in fantasy bb by the name of Logan Forsythe on Tampa. He’s 29 and had a lackluster career (.223 in 2014) but suddenly he figured it out last year and hit .281 w/17 HRs (.359 obp) and he’s at .307 (.388 obp) this year. Sometimes guys just figure out what they can/can’t do and let the game come to them. Scott Hatteburg was similar. He’s making 2.2 mil this year and would want a raise but it couldn’t be that outrageous I wouldn’t think? Maybe more then cheap Tampa wants to pay? Get a guy like that for the 2 hole with Winker and Suarez then hope atleast a couple guys pan out between Hamilton, Mesoraco, Duvall, etc. Then they’d would atleast have a chance? Castellini needs to get his private jet at Lunkin Airport warmed up and fly it to Pittsburgh. There in Pittsburgh load up Drew Hayes, Blake Wood and Scott Schebler and transport them to Louisville. In Louisville after re-fueling, load up Winker, Curtis, Peraza, and Somsen and bring them too Pittsburgh. Place BP on the DL. Super 2 date be darned with Winker and Peraza for now. I’d put Wood through waivers and outright him off the 40-man roster and then assign him Louisville to make room on the 40-man for Curtis. If another team picks up Wood off the waiver wire, so be it. Winker , Curtis and Peraza could help the offense gel just as the pitching re-inforcements arrive. So, you’re suggesting that a team with limited financial resources shouldn’t care about potential Super 2 status in order to win possibly win a few extra games in a throw away year? You believe it is a good idea to potentially add millions to payroll…during the years they expect to compete…which would cause a reduced allocation to other needs at the time….in order to win 78 games this year as opposed to 74? I admire your desire to see the Reds win today , but that only reduces their future ability to compete in the future. You don’t know that it will ad millions of $$$ some future payrolls. Who is to say the Reds brilliant front office won’t lock those players up to some team friendly contracts before that issue even arises?? They did it successfully with Bruce and Cueto. And the other thing: Who knows that all of these guys will still be around and productive enough that the Reds would want to keep them? I’m not worried about winning a few extra games now, but as the guys get some experience, maybe the Reds will be ready to win sooner. I’m not advocating for bringing guys up if they’re not ready, but this team sure is tough to watch right now. You’re right in that we don’t “know”….however,why would the Reds put themselves in a position where the player is potentially arbitration eligible sooner rather than later in order to win a few more games in a lost season? That makes no sense. What I hear being said in the original post is that it’s a lot easier during a rebuild process to spend money and wanna go to the ballpark to watch young, inexperienced, but hopeful talent than this current wretched batch of undertalented, career minor leaguers. I’d love to see the Reds bring these guys up, either in bunches or one by one, for a look-see, and show us their potential. Who wants to watch these AAA and AA minor league level guys with 5, 6, 7 years in the minors already under their belts, as they get their brains beat in at this level. If the kids struggle, sent them back down. I like how they’ve handled Stephenson so far this year..
At a point near the end of the article, it dawned on me that two months from now, in addition to the pitchers returning from the DL, Robert Stephenson, Jesse Winker, and, Jose Peraza will almost certainly be in Reds uniforms. Cody Reed and perhaps even Amir Garrett, even Rookie Davis, may not be far behind them. I resolved to try and stay mostly calm and on even keel at least till those (surely more happy) days have arrived. I thought DeSclafini was pitching last night. Don’t see it anywhere. Desclafini pushed back a day. Also Homer back a day. The reason given for Homer was “travel fatigue”. That sounds about as legit as a $3 bill. Let’s hope they are being staged to come into the MLB rotation on their “regular” rest and not having physical issues. 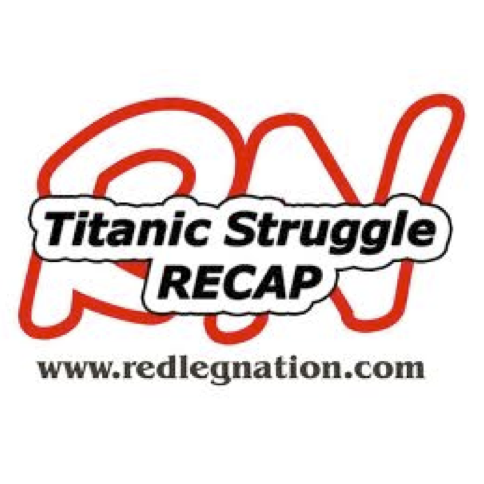 With the off day yesterday, the Reds starting rotation could begin its metamorphosis. Straily is making his scheduled start tonight, but Simon’s start tomorrow could be skipped with Iggy and Finnegan moving up a day, on regular rest, to pitch in the Pittsburgh series. John Lamb completed his 3rd rehab start on 04/27, with 104 pitches in 8.0 innings. His next scheduled start day would be 5/2. Lamb could be slotted in to start the series opener against Cueto and the Giants on 5/2 with Moscot getting an additional day off until 5/3. After an additional rehab start for Bailey and Disco, they would join the starting rotation the following weekend to replace Straily and Moscot as starters on the 25-man roster. Next weekend is when the 1st roster decision will be made that impacts the future team. Straily will certainly go to the bullpen. Simon will go to the bullpen, the DL or be DFA’d and outright released when he clears waivers. Does Moscot go to the bullpen and begin working as a reliever or does Moscot go to AAA to continue his development as a starter? That decision should NOT be based on the current needs of the bullpen, but the future needs of the organization. Moscot seems to be close to his ceiling except for what he can pick up from learning individual batters. He appears to know what he is about and in general how to use it to best advantage. Thus there would not be much to be gained by sending him back to AAA. The talent pool the Reds have would make him a back end of the rotation innings eater or middle reliever in the next year or two. Alternately, I don’t think he has the top end potential to be that valuable as a trade piece; so, hold onto him and slot him in the area of most need. Moscot has given up HRs in every single game he’s pitched for the Reds? I don’t see a future for him with the Reds or anyone really? He’s a AAAA type of guy and he didn’t really dominate at Lville either? This might be a big start for Straily tonite….Pitt has been hitting well. Straily is a little more interesting to me because he can miss some bats as opposed to Moscot and has only allowed a .234 average in the bigs so far which is intriguing? That mirrors my perspective exactly Jim. I bet all those on here this winter who were clamoring for Billy Hamilton to be more like Dee Gordon are doing an about face this morning. Whew, 80 game suspension and now labeled a “cheater”. I’m glad Billy is Billy and not Dee Gordon. Yikes! I didn’t see that. Billy wouldn’t need to cheat to gain 10-15 lbs of muscle though? You start hitting rockets and the infielders wouldn’t be creeping towards the pitcher on every pitch anticipating a bunt. Even Walker at 2B was coming in the other night and Billy slapped one right past him since his reaction time was next to nothing. Extra muscle could also help Billy ward off some of the beating he takes from sliding and diving all over the place as well. I know his body type is skinny but I was much younger than him at 6′ 165 and I put on 25 lbs of muscle in about 1.5 years way back when.